We're 1 day into the new year, and we hope your resolutions are going well. Because collectively, we seem to be regressing. Recent days have seen relentless talk of border walls, the baby Jesus lobbed around like a football from one fight to the next, even more clergy sexual abuse, and witch hunts (both real and imagined). We didn't know what 2019 would look like, but we certainly wouldn't have predicted it would look like 1419 AD. 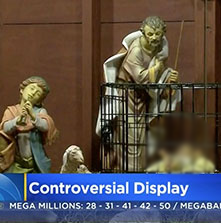 A church seeking to raise awareness for immigration issues created a Nativity scene with baby Jesus in a cage. Not everyone was thrilled with their idea. 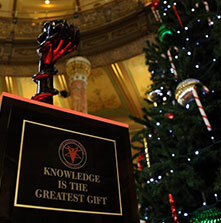 The Satanic Temple angered religious groups in Illinois by erecting their own holiday display alongside traditional Christmas decorations at the state capitol. A 40-year-old Salvadoran mother who's lived in Virginia for 13 years ignored her deportation order and instead took shelter in a local church. "I am going to fight," she declared. "I feel powerless. But I trust in God for a solution." 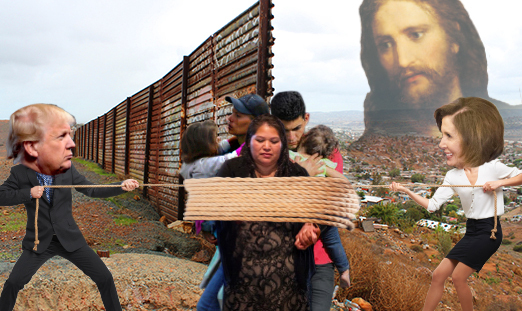 Would Jesus Want to Protect Immigrants? 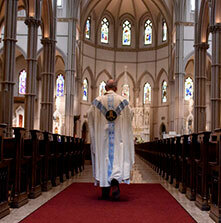 According to a new investigation, Catholic dioceses in Illinois neglected to report at least 500 priests and clergy members accused of sexual misconduct. 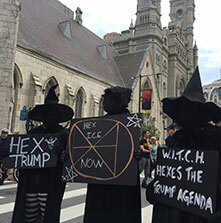 Many in the Wiccan community have taken issue with President Trump's persistent use of the phrase "witch hunt," arguing that it trivializes historical witch hunts. It's easy to come up with New Year's resolutions, but actually sticking to them is much harder. 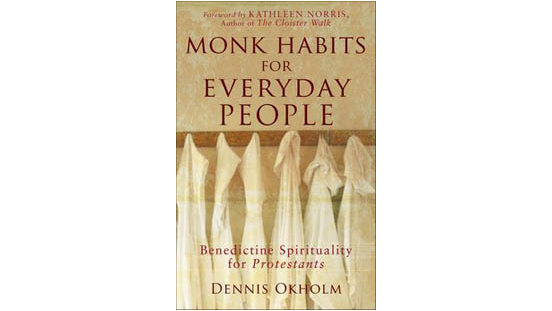 That's why we recommend this insightful self-help guide centered around the incredible discipline of the Benedictine Monks. This volume offers a reliable framework for finding success not just with short-term resolutions, but with long-term life goals as well. 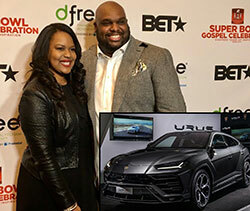 Our friends on Facebook voiced their opinions on so-called “prosperity preachers” following a recent controversy in which a popular megachurch pastor bought his wife a $300,000 Lamborghini – upsetting many of his followers who argue the money should have gone to helping the needy.